(R. Scott Clark – Abounding Grace) It is not difficult to find calls for the church to be “prophetic” especially toward the end of “social justice.” Of course we should favor social justice since nature and Scripture (e.g., Rom 13:1–7) both teach us that it is the function of the civil magistrate to enforce just laws…. By implication, it is the duty of citizens in civil society to seek justice as far as lies within them. 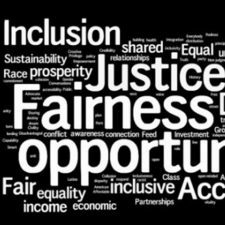 Yet we have yet to define “social justice.” It is evident in current discussions in the USA that there is not a shared definition nor is there a shared vision of how to achieve and maintain it.